We have been in our current home 16 years. 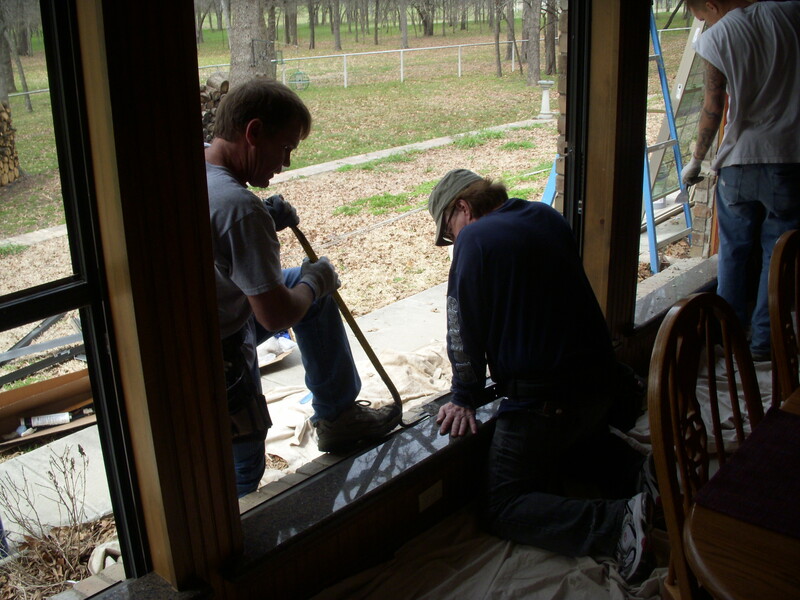 While building the house we had several complications and unexpected expenses so cuts were made. 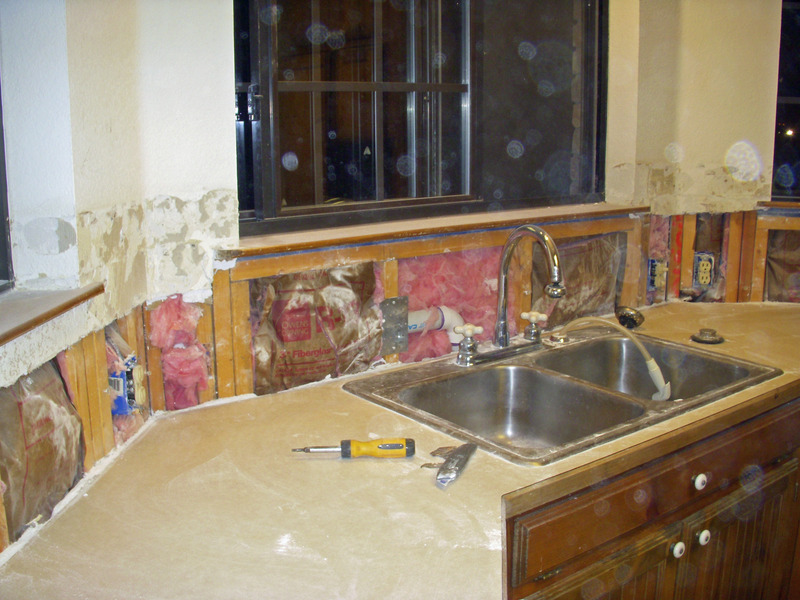 The kitchen counter tops were the likely place to make the cut with a promise that we would replace them when money became available. As usual time slipped by, there was always somewhere else for the money to go, before we knew it the original tops were showing wear and tear. Replacement has now become a necessity. Over the last two years I’ve put money aside for the project. At last the funds are available. 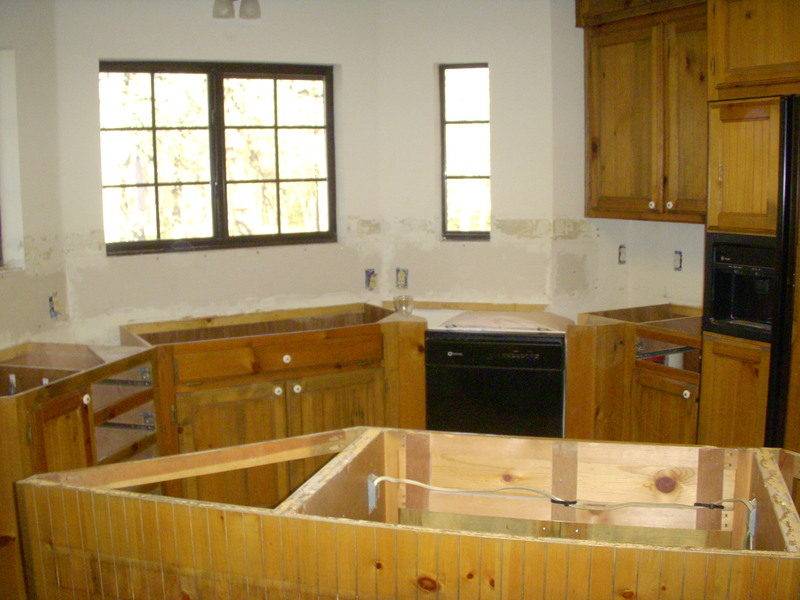 With doing the tear out ourselves we can easily afford the project. In addition we planned to update our windows, so we decided to tackle both projects at the same time. The hubby was going out-of-town for a few days , so I decided it was a good time for me to start the tear out. There is nothing more dangerous than a bored women with access to her husbands tools. It took two days to get the tile off the back splash and trim up the sheet rock. The mess was incredible. If you cut one piece of sheetrock you’re going to have dust on every flat surface in the house. The hubby came home on the following day and we removed the old counter tops and replaced all the damaged sheetrock under the back splash. A job that should have taken two hours took close to 8. I’m not sure I know any more about putting up sheetrock than I did before we started. But I’m sure that I can add this to the list “If You Want To Stay Married, Don’t Do The Following, Together.” It ranks right up there with plumbing, barn building, hanging wallpaper, and putting on a metal roof. 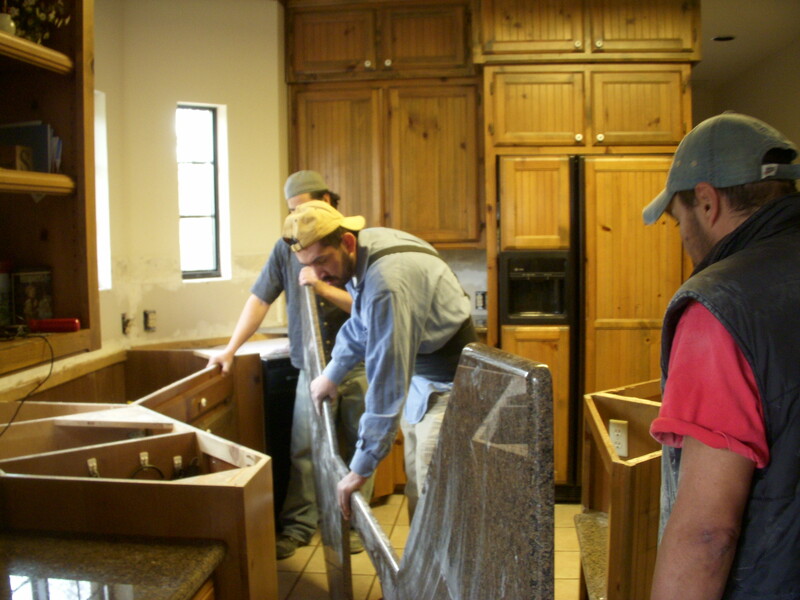 The following day the granite people measured and made templates, in two days they were back to install the counter tops. I bet they have strong arms. The kitchen is now ready for the back splash. The washed stone tile may be my favorite addition. The variations in the colors add great depth, texture, and pull it all together. The windows would follow the next week. I was amazed that they could remove and replace all of the windows in less than 7 hours and leave behind very little mess. 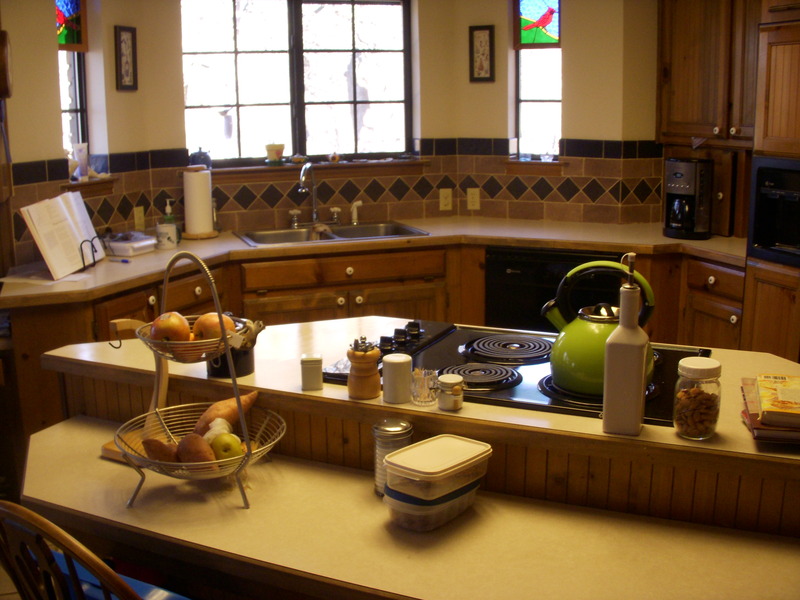 As with any remodel project, when completed, everything else in the house needs a fresh look. 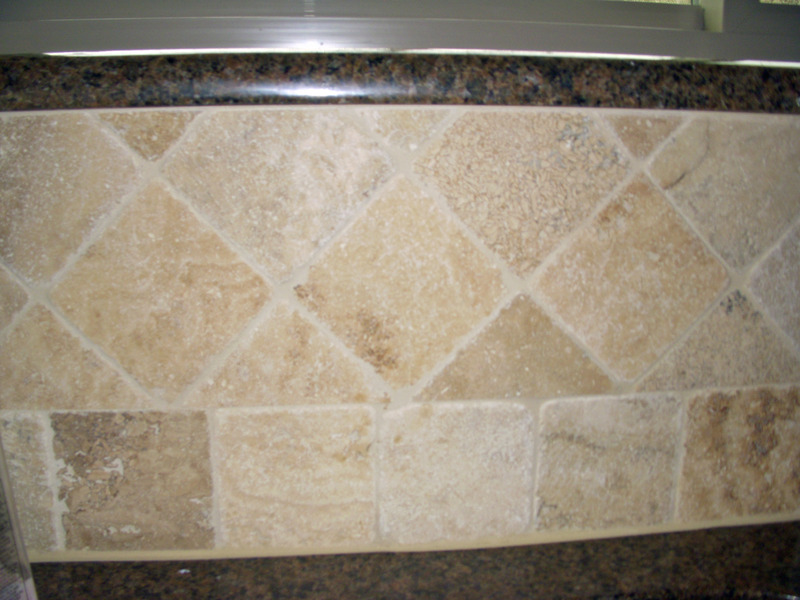 We are going to freshen up the floor tile by cleaning and re-staining the grout. But what about the cabinet fronts, carpet, paint, and the furniture? This will be a hard sell. I’m married to the man who thinks you should take care of thinks so you never have to replace them. He does not understand sometimes you just need a change. Better start planning my strategy. May have to consult with President Obama on this one. Everything is clean and shiny. 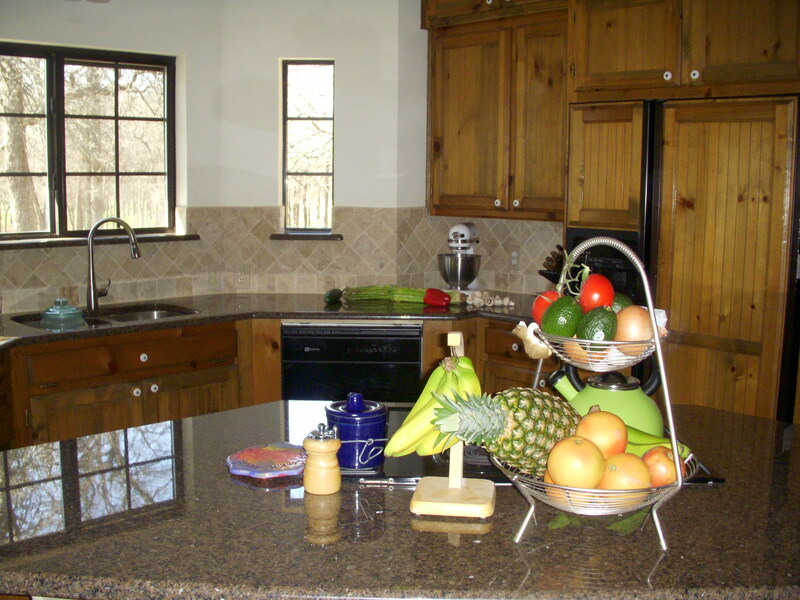 The new windows and counter tops reflect more light, making the kitchen look larger. We created more counter space by bringing the sit down bar up to the same level as the rest of the counter tops. Now there is plenty of room to knead bread or roll out pie crust without having to rearrange the mixer and bowls. I can dirty twice the amount of dishes and still have space to work. 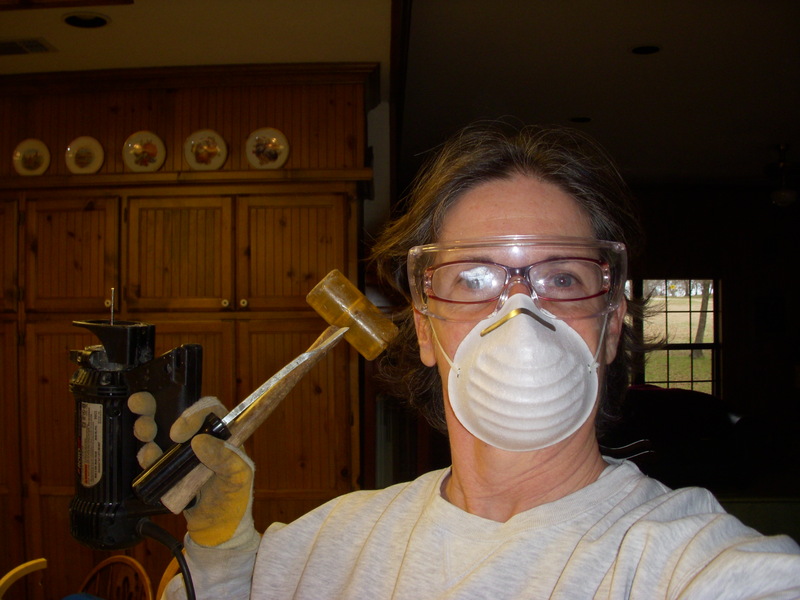 This entry was posted in Posts by Jo and tagged Home Improvement, Home Repair by Women of Wise. Bookmark the permalink. It looks beautiful!!! And, so do you in the first photo! I loved that. I am certain you are very happy and satisfied to have this project finished. Way to go! I am impressed. Beautiful!!! I also have new countertops on my long, long, long list.